What is an Indiana Rental Application? 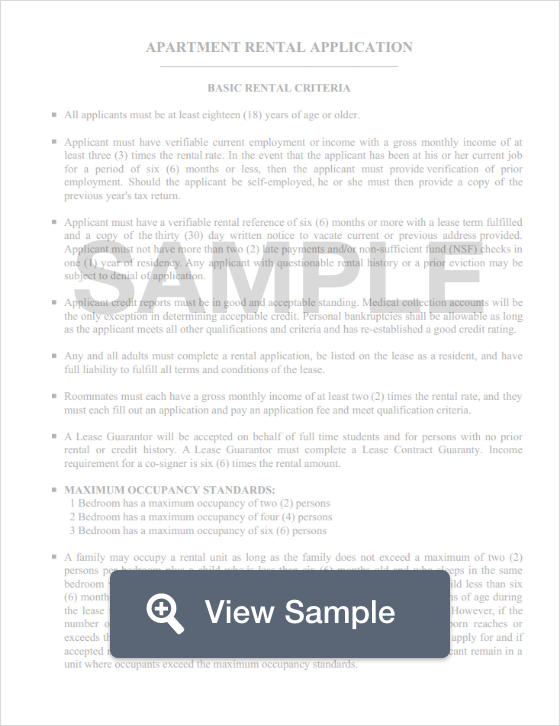 Indiana Rental Application: What Is It? When a landlord wants to find a tenant for his or her vacant apartment or property, they will place an ad, and use rental applications to verify the worthiness of the applicants. A rental application asks personal questions of a potential tenant that helps give the landlord a better insight as to who a person is, and how much of a responsible tenant they will be. In addition to a rental application asking personal questions like the applicant's full name and current address, the application will dig into more personal details like income, rental history, and any previous bankruptcies or evictions. The state of Indiana does not have any laws that set a cap on security deposits. Essentially, a landlord may demand any amount to secure the rental, however, setting an amount too high will deter potential rentals. However, the state does specify when this deposit must be returned to the renter. According to Indiana Law, a security deposit must be returned to a tenant in no more than 45 days after the termination of the lease (Ind. Code Ann. §§ 32-31-3-9 to 32-31-3-19).